Our range of products include chat masala, meat masala, pav bhaji masala, red chilli whole kashmiri, chana masala and garam masala. 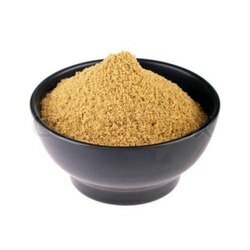 Offered in the market at the most reasonable rate possible, the offered Chat Masala has a high preference in the market. Its processing involves the use of the finest ingredients and modern machines. Owing to this, the offered product is characterized by perfect composition, superior taste and fine grinding. In addition, for quality standardization, we abide by the industry norms. The Meat Masala processed by us in accordance with the set industry norms and guidelines, utilizing the finest ingredients available, its quality is highly standardized. Owing to this, the product’s effectiveness is quite high. Its perfect composition, fine grinding and reasonable pricing, make the product one of the primary preferences in the market. Known for its usage in making pav bhaji taste better, the offered Pav Bhaji Masala is widely acclaimed to be one of the finest that is available in the market. For reasons of quality assurance, we abide by the industry set norms and guidelines. Further the utilization of quality ingredients and modern machines, make the product highly asked for. 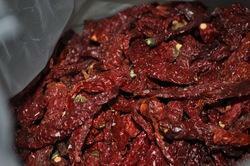 Leveraging our vast domain expertise, we are engaged in offering Red Chilli Whole Kashmiri. Our offered these chilies are smaller, rounder and less pungent but give a very vibrant red color to any dish. Finely grounded and distinctly flavored, Kashmiri Mirch is selectively bred for color and flavor. Available in a wide range of color values, these chillies are valued for their high color retention. For the purpose of providing the finest Chana Masala to our clients, we engage in using the finest ingredients and modern machines. Owing to this, the offered product is ground in the best possible manner and has a superior & precise composition. In addition, its reasonable pricing and rich taste, make the product highly demanded. 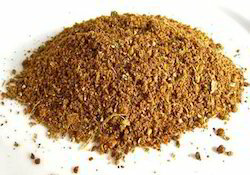 The mixture of five basic spices, the Garam Masala offered by us is known to be the finest of its kind. Processed in compliance with the set industry norms and guidelines, its quality never deteriorates. This product is widely acclaimed for its influence on the taste of food, effective medical usage and its fine aroma. In addition, the offered range is priced at the most reasonable rate possible. Finding its usage in almost all Indian kitchens, the offered Curry Powder is known to be one of the finest tastemaker available. Processing of this product is done in accordance with the set industry norms and guidelines, for quality standardization. Its purity and perfect composition, make the product one of the finest that is available in the market. 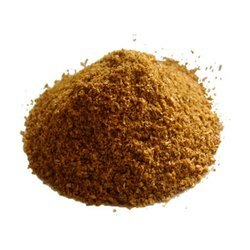 Used ideally for cooking South-Indian cuisines, the offered Madras Curry Powder is known to be amongst the finest that is available in the market. The finest ingredients used in its making, in a perfect composition, give the product superior taste and aroma. 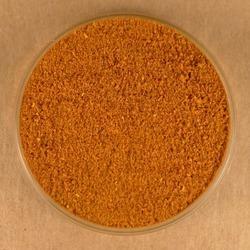 Further, the product, owing to the modern machines used, the product is finely ground. For reasons of quality standardization, the offered Biryani Masala is manufactured in accordance with the set industry norms. The fines ingredients used in its making, gives the product superior taste and aroma. Further, its fine grinding and perfect composition make the product one of the finest that is available in the market. 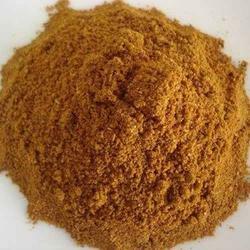 We are considered in the market to be one of the leading manufacturers and suppliers of this commendable Fish Masala. Used widely and ideally for cooking fish in the most tasteful manner, its preference is quite high. Owing to the finest ingredients used in its making, in a regulated manner, its quality never deteriorates. In order to provide maximum satisfaction to our clients, we engage in using of the ingredients in the best possible composition, for processing this Paneer Tikka Masala. Owing to this, its rich taste, aroma and the texture it provides is widely acclaimed. Further, the offered product priced reasonably, is highly asked for in the market. Offered in the market at the most reasonable rate possible, the offered Paani Puri Masala is known to have a high preference in the market. Its processing involves the utilization of quality ingredients and modern machines. Owing to this, the product is known to have a fine taste and a rich aroma. We make it available at competitive prices. For the purpose of maintaining the quality of this Sambar Masala, we engage in using the finest ingredients and modern machines, in accordance with the set industry norms. Owing to this, the offered product is known for its fine taste and rich aroma. In addition, the offered product is priced reasonably, for providing maximum satisfaction to our clients. A commendable mixture of spices, the offered Vindaloo Masala is known to be one of the finest that is available in the market. The product is known to provide impeccable taste and aroma to the food it is used in. Further, its processing done in accordance with the industry norms and guidelines, make the product’s quality highly standardized. 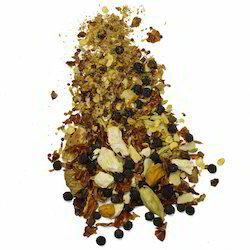 Looking for Blended Spices ?